Get set to change the way you view television! Designed by Porsche Design Studio, C Seed 201 is the world's largest outdoor LED TV that sprouts up from the ground in just 40 seconds - unfolding into a massive screen. 15 feet high, the TV is your perfect entertainment option for outdoor events, parties and gatherings. The next time you're hosting a lavish party, you know how to entertain your guests! Here's something to make your evening cup of coffee all the more rejuvenating. This lacquered sliced coffee table with marquetry work by interior expert Radhika Gupta is the perfect addition to your furniture, whether at home or work. 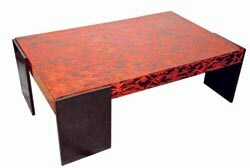 The table is part of a new collection at Radhika's store, Moon River, which houses pieces both artistic and contemporary. Changing seasons require a change in footwear. 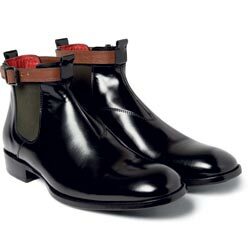 As boots are rather essential in the winter, these Alexander McQueen Chelsea boots are just what the fashion police ordered. Buckled at the ankles, they are a seductive proposition for any time of the day. Here's an exciting new watch for you to pair with your outfit, the next time you head out to meet friends. 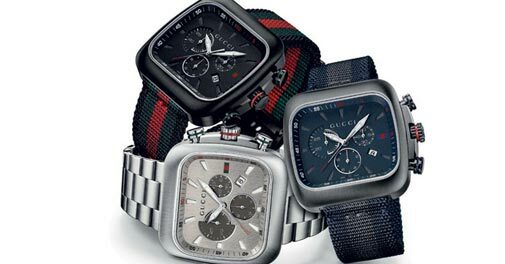 The Gucci Coupe collection now has three new models that are a modern interpretation of vintage watch styles in shades of grey, black and navy blue. What happens when the best in footwear joins hands with the best in eyewear? You get a pair of sunglasses that you just have to covet. The Carrera by Jimmy Choo shades are what will take you to instant style iconography. For lovers of the piano, this is as luxurious as it gets. Piano Solutions XXI has launched the New York Serenade Piano, adorned with 1,71,500 hand-set cubic zirconia stones. Designed to invoke memories of New York's Jazz era, the restoration process cost a million dollars! When on an adventure travel spree, having the right bag makes a world of a difference. 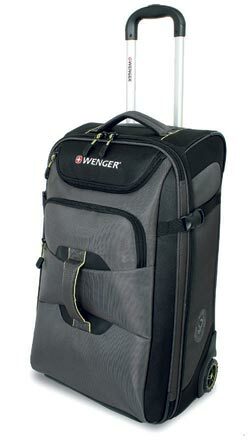 Wenger's Terrain Crossing Collection that includes upright, duffel bags and rolling backpacks will prove to be your best companion in such scenarios. The bags come in different sizes and are lightweight, strong, spacious and great looking too! Showcasing every legendary car from the Ferrari stable - right from the 166 SC to the LaFerrari - The Ferrari Book by Guenther Raupp is a must-have for fans of the iconic automobile brand.